Top Image: Image credit Zach Moull / Park Advocates lead participants through the Lower Don on a Jane's Walk. More than 20 people joined our Park Advocate team on Saturday, May 6th for a hugely successful and engaging Jane's Walk. 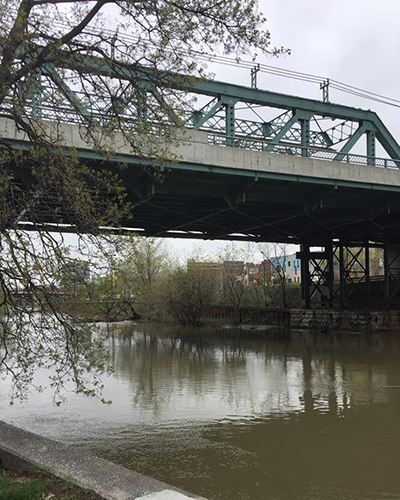 The rain held off and the group of walkers meandered along the don and neighbouring communities discussing the history and future of the Don Valley. They even spotted a swan in Don’s most channelized and urban section. A big thank you to the team: Floyd, John, Paula, Jessica, Juliano and Rosanne who made it happen. Stay tuned for more upcoming walks and talks along the Don or check out our event page.